The House Agriculture Committee this morning approved the GMO labeling bill by a vote of 8-3. H.112 would make Vermont the first state to require food manufacturers to label products that contain genetically modified ingredients. As reported in this week's print edition, GMO labeling has broad support among grassroots activists and legislators (a third of lawmakers have signed on as cosponsors for the House bill and its Senate counterpart). 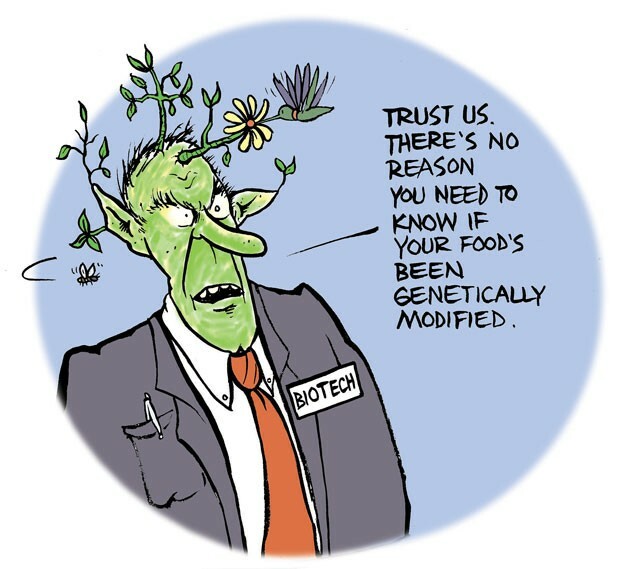 But the GMO bill still faces an uphill climb. Lobbying from the biotech industry, not to mention the looming threat of a potentially expensive court challenge, could hinder the bill's chances of success beyond the house ag committee. The marked-up bill heads next to the House Judiciary Committee. House Agriculture Committee chair Rep. Carolyn Partridge (D-Windham) says she'll be asking for an exemption to the mid-session crossover deadline when bills normally have to pass from the House to the Senate, and vice versa. "We’ve really put together an excellent bill," says Partridge, a cosponsor of the bill. "I think it’s ultimately defensible when and if it goes to court." Voting yes on the bill in the House Agriculture Committee were Reps. Carolyn Partridge (D-Windham), Will Stevens (I-Shoreham), John Bartholomew (D-Hartland), Cynthia Martin (D-Springfield), Kristina Michelsen (D-Hardwick), Tess Taylor (D-Barre), Tristan Toleno (D-Brattleboro) and Teo Zagar (D-Barnard). Voting no were Reps. Harvey Smith (R-New Haven), Dan Connor (D-Fairfield) and Richard Lawrence (R-Lyndonville). "The committee did an excellent job identifying the key issues that indicate why the people of Vermont have a right to know how their food is produced," the bill's lead sponsor, Rep. Kate Webb (D-Shelburne), wrote in am email Friday. "We have a formidable opponent in the biotech industry. We believe we can ultimately prevail. Remember with David and Goliath, David won."